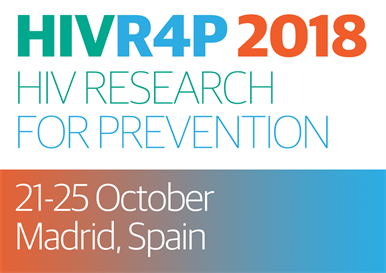 The third HIV Research for Prevention conference (HIVR4P) in Madrid next week (21 to 25 October) will feature news from every aspect of HIV prevention. HIVR4P came from a merger between the HIV vaccine and HIV microbicides conferences, and the breadth of its coverage reflects this. Plenary sessions will cover the latest in progress towards an HIV vaccine, what vaccine science is telling us about the mechanisms of HIV transmission, novel developments of pre-exposure prophylaxis (PrEP) including implants and rings, and the use of broadly neutralising antibodies in HIV prevention. But the focus will also be very much in implementation science. The PROUD trial’s Sheena McCormack will talk about designing PrEP trials for populations as yet unreached by it; US Chief HIV Scientist Anthony Fauci will talk about the programmes we need to put in place to end the HIV epidemic; and Spanish HIV activist Michael Meulbroek is part of a final plenary session on multiple prevention strategies, when he talks about the impact of introducing combination HIV prevention including PrEP at the Checkpoint clinic in Barcelona. Expect news on the impact of PrEP programmes on HIV incidence in other cities too, on immune responses in previous and ongoing vaccine trials including the Uhambo trial underway in South Africa, on how PrEP may be processed differently within vaginal rather than rectal tissue, and on therapeutic vaccines and their possible part to play in an HIV cure. First off on the Sunday morning there is also an advocates’ pre-conference session hosted by IRMA (International Rectal Microbicide Advocates) and AVAC and featuring an hour’s panel; and discussion on the state of PrEP in Europe, led by the organisation of that name (see www.prepineurope.org). Please feel free to link to our news stories, bulletins and any other aidsmap.com pages – in emails, newsletters and blogs or in other social media like Facebook and Twitter. For more information on the conference, visit the official conference website hivr4p.org and view the online conference programme.